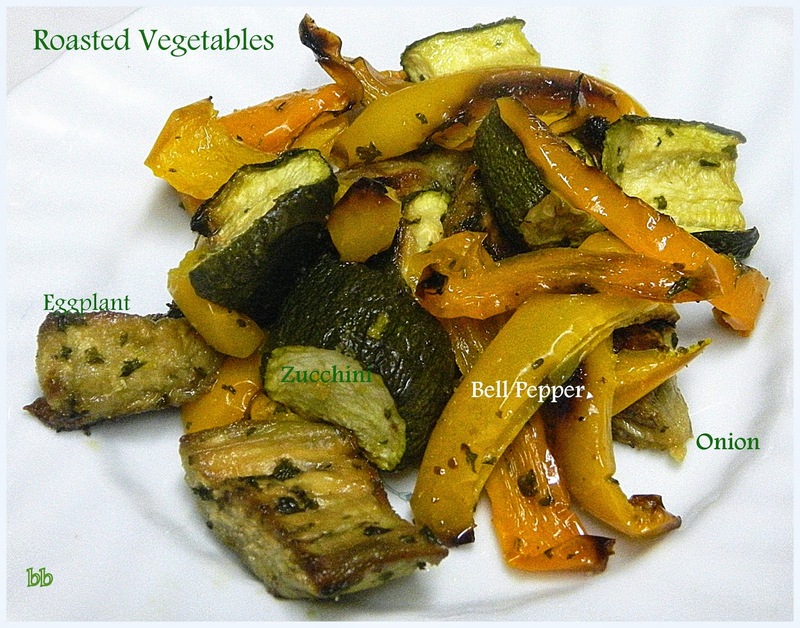 These turned out to be better than the best roasted veggies, we have had, in the past. I think, the Balsamic had something to do with this. I, also had never used eggplant in roasted vegetables before either. I owe an apology to someone but I don't remember where I got this recipe. I did so much cooking for the first days of Passover and used many books and recipes from the Internet, I am confused about this particular one. If this is your recipe, please let me know, so I can give you credit. Pour olive oil and balsamic vinegar into a plastic bag with seasoning. Add vegetables and shake until they are coated. Place vegetables on lined cookie sheet. Bake at 425 degrees for 35 to 45 minutes. Remove from oven and place on serving plate. We love all kinds of roasted veggies. Adding the balsamic vinegar would be a nice change. I can imagine that it adds an interesting flavor as it caramelizes in the oven.